1.1. The terms ‘we,’ ‘us’ and ‘our’ refer to Virtual Room. 1.3. The trademarks and logos displayed on the website are the property of Virtual Room. You are not permitted to use these without prior written permission from us and you accept that any such use may constitute an infringement of the relevant owner’s rights. 1.4. These terms and conditions and any contract concluded incorporating these terms and conditions shall be governed by French law and all disputes shall be submitted to the exclusive jurisdiction of the French courts. 1.7. Virtual Room collects and stores your personal details without disclosing this information to any third party and we are dedicated to ensuring that the privacy of your personal information is protected. 1.9. By using our services, you grant us and any of our Marketing Partners the right to use your image, video and/or likeness for marketing and promotional purposes, unless you specifically request in writing that we do not use your image, video or likeness. You may request removal of a photo or video from our system by contacting us at virtual-room.fr and providing the location that you visited and the URL of the photo/image that you would like removed. 1.10. 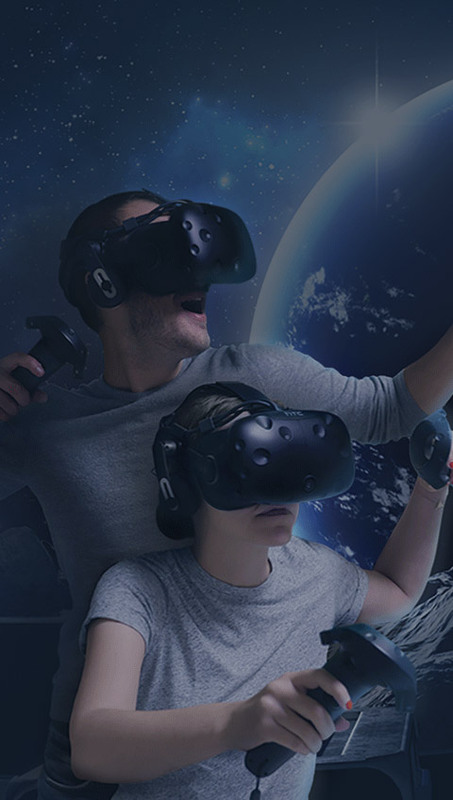 Virtual Room expects our visitors and customers not to disclose or allow anyone else to disclose any details of our games, either directly or indirectly, to the public. 1.11. Virtual Room may contact you from time to time with offers and promotions via email. 1.12. Virtual Room is entitled to charge guests for any damage, whether intentional or caused by misuse of items. 1.13. For more information, contact your local Virtual Room game centre at virtual-room.fr. 2.1. You accept that the Internet is not fully secure. Virtual Room will take all appropriate steps to protect the security of any payment and debit / credit card information. Virtual Room shall not be liable for any damage that you may suffer as a result of the loss of confidentiality of any such information. 2.2. Neither Virtual Room nor any third parties provide any warranty or guarantee as to the accuracy, timeliness, performance, completeness or suitability of the information and materials found or offered on this website for any particular purpose. You acknowledge that such information and materials may contain inaccuracies or errors and we expressly exclude liability for any such inaccuracies or errors to the fullest extent permitted by law. 2.3. Virtual Room website is for your personal and non-commercial use. You may not modify, copy, distribute, transmit, display, perform, reproduce, publish, license, create derivative works from, transfer or sell any information obtained from this website. 2.4. You are not permitted to link to or use all or any part of the Virtual Room website for any purpose which is fraudulent, unlawful, defamatory, harmful, obscene or objectionable. 3.1. Most of our games are designed for a team of 2-4 people per room with exclusive use of said room. Details are provided for each game on our website. 3.4. Any purchase of a game is only valid when processed by Virtual Room. 3.6. You are solely responsible for entering your details correctly into our online booking system. By submitting your online booking, you warrant to Virtual Room that all details supplied by you are true and accurate. 3.7. You will receive the confirmation of your booking via email only. Virtual Room will not send further confirmation via post or text message. 3.8. Online bookings can be made only a set number of days in advance. For more advanced bookings, please contact your local Virtual Room game centre at virtual-room.fr/locations. 3.11. Force Majeure: Virtual Room is not liable for any delays to your arrival whether caused by bad weather, strikes, protests, floods, traffic jams, civil unrest or any other reason. It is your sole responsibility to arrive on time according to your booking. 4.3. Payments can be made with any major credit or debit card. 5.1. You will be briefed on your game by your assigned Game Master before gameplay begins. Each player participates in the game at their own risk. Virtual Room is not liable for any personal or equipment damage. 5.2. We reserve the right to refuse service to anyone at the sole discretion of the owners and staff of Virtual Room. 5.3. Outside drinks or food may not be brought into the game centre reception without prior approval from us. No food or drinks are allowed inside any game rooms. 5.5. For safety reasons, children under 12 years of age are not permitted to enter the reception or game rooms. Any children under 16 must be accompanied by at least one adult at all times, including within each game room. Anyone entering our game rooms must first pay the appropriate price of admission, whether participating in the gameplay or not.